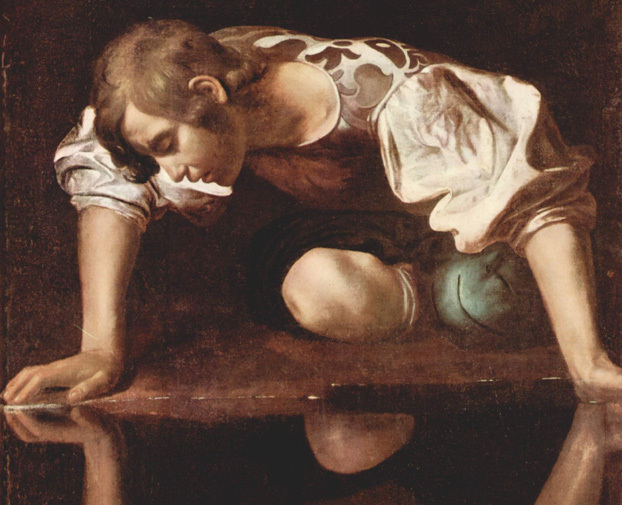 Narcissism on the Rise in American Pop Music? On my facebook feed, Eric Edberg had posted a link about the internet “narcissism epidemic.” It linked to a piece talking about a NYT piece about the rise of “a statistically significant trend toward narcissism and hostility in popular music” (here’s an NPR talk with the researcher). This seems to follow a trend towards narcissism and hostility in [American] society in general. In the latest issue of Bloomberg Businessweek there’s a piece by Paul M. Barret, Will Brain Injury Lawsuits Doom or Save the NFL?, that discusses what should probably be considered a negative externality. Even as an expected 110 million Americans take to their couches for the 47th Super Bowl on Feb. 3, Locks is waging a legal battle that represents the most serious threat to the viability of big-time football since an outbreak of fatal skull fractures back in the leather-helmet days. Locks and a group of allied plaintiffs’ lawyers are suing the National Football League on behalf of more than 4,000 former players and their wives who accuse the $9.5 billion-a-year business of covering up life-altering brain injuries. I’ve posted a bit about at least one negative externality, namely start-up and operating costs of stadiums, which Sports Franchises benefit from since many of those costs are covered by public funds. This piece is describing how the costs of player injuries isn’t borne by the NFL, and that the industry might have actually stifled knowledge about Football related head injuries through proprietary research which it has actively promoted. The latter, as I’ve talked about in past posts, falls under publication bias. The basic idea here is that, if we were to factor in the full start-up and variable costs of the industry, we might have a more accurate picture of the actual profitability of the industry. What we consider to be profitable entertainment industries (e.g. Pop Music, Sports) will look far less “sustainable” and be less likely to function as a foil to the supposedly failing, unprofitable, unsustainable, or “broken” Performing Arts economic models. What Really Handicapped Classical Music? Prime, retrograde, inverse, and retrograde-inverse permutations. The flip side of that coin is that I don’t believe in coincidences. The “composer as international celebrity” idea effectively died between 1945 and the early ’70s, and I do not believe that it was a “coincidence” that this happened when this particular compositional technique was in the ascendant. 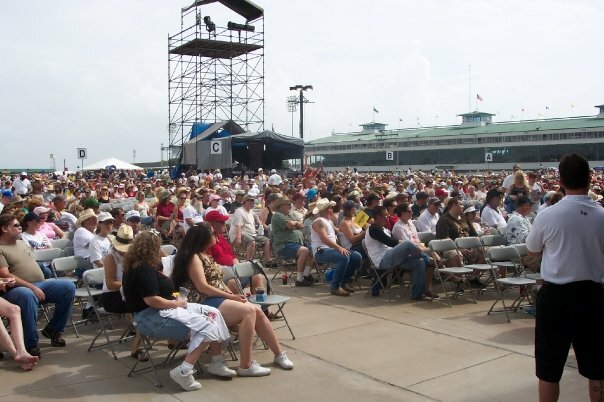 The audience at the Sam Houston Racetrack (Houston, TX) during day three of the Willie Nelsen Picnic 2008 (July 5th). This was the biggest crowd of the three shows I played with multi-Grammy Award winner, Ray Price. A significant proportion of the audience was comprised of an older demographic than one would find at some Pop Concerts. John Loken, a former record label marketing exec posted an intriguing blog last February (2011) titled “The Death of Pop Music?” where he talks about the decline of, well, Pop Music. In particular, the industry “defined as the commercialization of short form songwriting, a historic aberration that lasted for the better part of the 20th century” is what he’s referring to here. He gives a short run-down of that industry’s history that’s a counterpoint to the history of how the Cost Disease has shaped Pop Music that I outlined in a previous post. The pop music era started with ragtime and the player piano roll, evolved with composers like Gilbert & Sullivan and George Gershwin, and flourished with the advent of broadcast radio which popularized recording artists during WWII. Pop music reached its creative zenith in the 60s through 80s (a completely subjective analysis, I’ll grant you), and hit its commercial peak in 2000 when the inflated returns from CDs masked the creative stagnation underneath. (Again, ‘stagnation’ may be too strong a term, but I think digital recording tools removed all barriers to entry, effectively diluting the market with mediocre artistry; a separate post, I suppose). Napster’s disintermediation and Apple’s unbundling of the album hastened the collapse of concentrated/controlled music distribution – the engine of economic rents for decades. 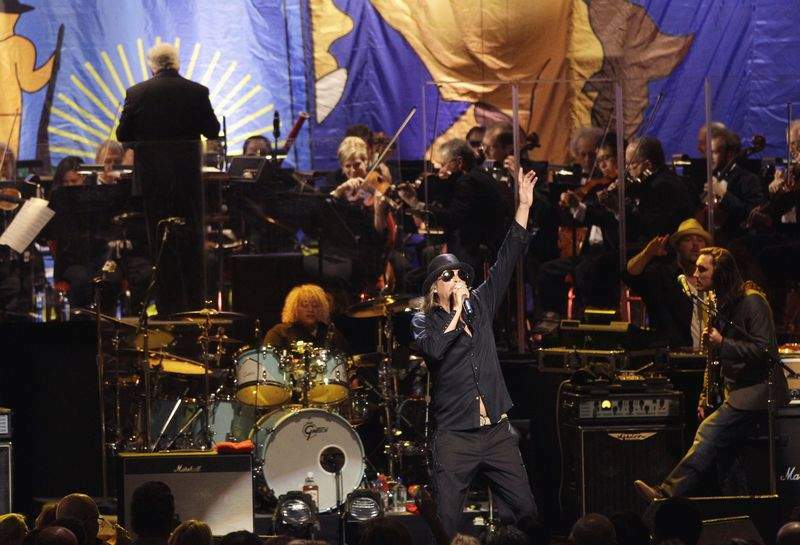 Kid Rock performs with the Detroit Symphony Orchestra. The Sold-Out show raised over a million dollars for the DSO. Or maybe some of those funds are going to relocate the Kid Rock Badass Beer? In my previous post I outlined some aspects of various performance based industries (Classical Music, Sports, Pop Music) and how audiences numbers can matter little to the largest organizations within them (Orchestras, Sports Teams, Pop Superstars). I highlighted what i was referring to as an “infrastructure” which contributes to the lion’s share of revenue (and resources) that are as much, if not more, important to the profitability (and sustainability) of such industries. Ironically, given his position within the field of cultural economics and the “Cost Disease” named after him, William J. Baumol discusses how industries can become “too big to fail” in almost the opposite way that so-called labor-intensive industries (such as the Performing Arts) are “too big to succeed” due to the Performance Income Gap.